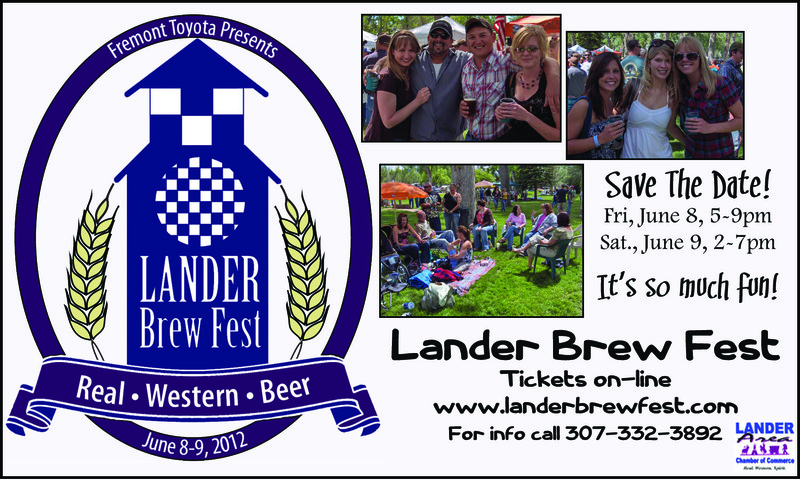 click on the photo above to connect with the Lander Brew Fest! 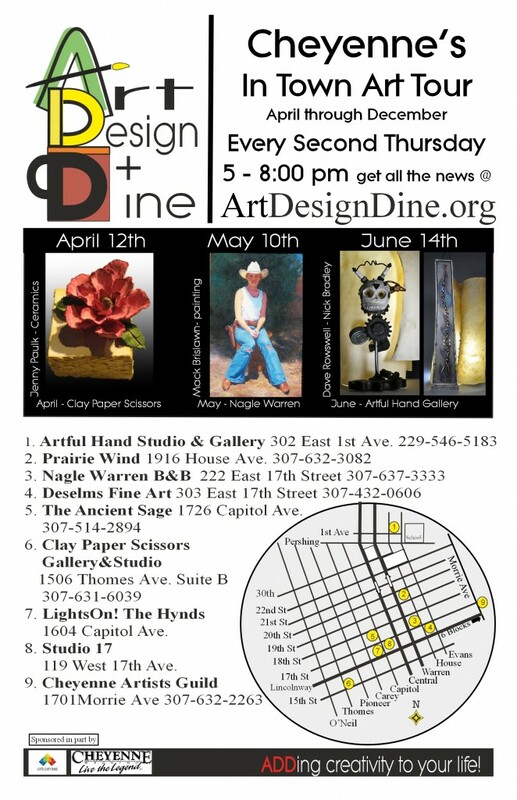 Check out Art, Design & Dine’s Season Opener, April 12 from 5 – 8 PM See the map for locations! Contact artsygeorgia@yahoo.com or call 229-546-5183 with questions! 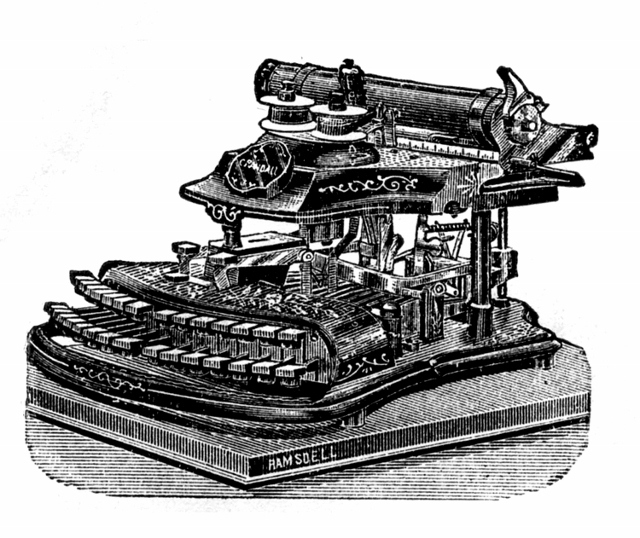 Dust off that old typewriter or fire-up that slick, new iPad® because the Fort Laramie Historical Association would like to invite you to create a short piece of historical fiction for our writing contest. Your story needs to be as historically accurate as possible and take place at Fort Laramie sometime during 1834-1890. Will your story be a mystery with an added twist of time travel or a love story that ends with an exquisite wedding at the fort? Whatever you envision, we can’t wait to read it! Make sure you follow the rules below and submit your story by 12:00 p.m. MST, April 30, 2012. The winning stories will be published in our May 2012 e-Bugler. Good luck and happy writing! The Rules: must be an original, unpublished piece of historical fiction — 10 pages maximum — Times Roman, 12pt font — double spaced — topic: historical fiction that takes place at Fort Laramie sometime between 1834-1890 — due date: 12:00 p.m. MST, April 30, 2012 — submit papers to: Fort Laramie Historical Association, Historical Fiction Writing Contest, 965 Gray Rocks Rd, Fort Laramie, WY 82212 or flha@vistabeam.com. Whether mailing or e-mailing, your story must be in our possession by 12 p.m. on April 30th to be included in the contest. Please type “Entry Form” information at the top of your story. You don’t have to attach an official “Entry Form”. 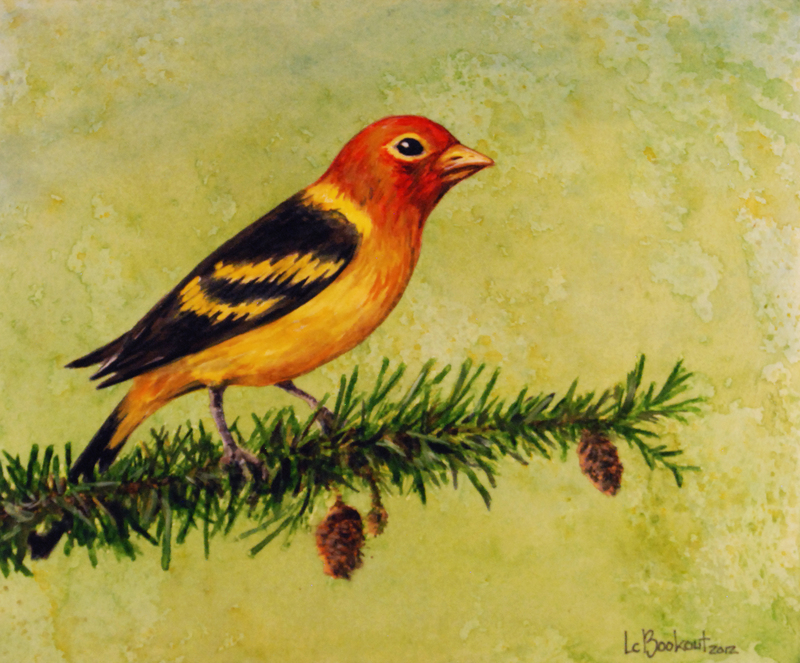 The 32nd annual Red Dersert Audubon Wildlife Art Show opens April 6, 6-8 pm, at the Lander Art Center. Featuring over 70 artworks from 25 artists, the show features detailed watercolor, painting, encaustic, and ceramic works depicting Wyoming natural flora and fauna. On exhibit through May 12, 2012 4pm. 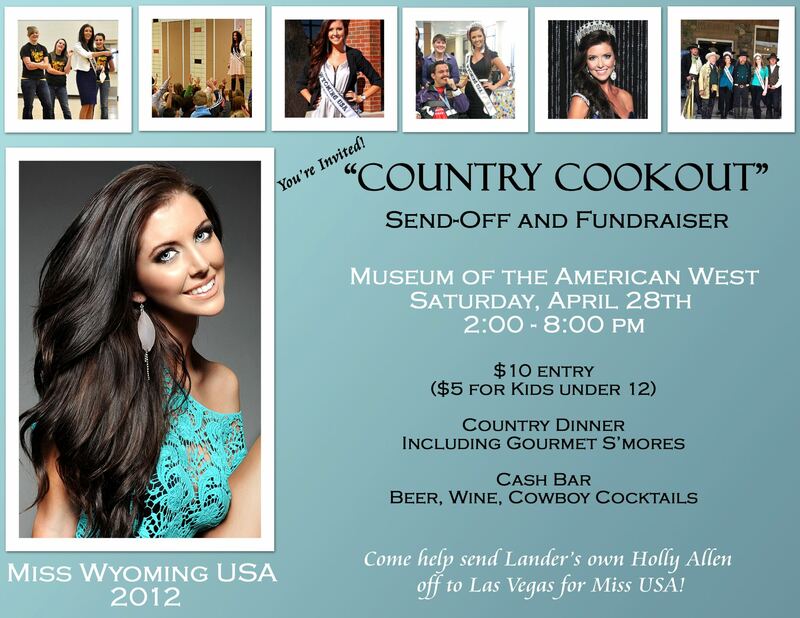 Show some love for Lander’s Holly Allen as she journeys to Las Vegas for the Miss USA competition — best of luck to Holly, Miss Wyoming USA 2012! CODY — ARTINI FESTIVAL COMING UP! Throughout the evening, The Terrace Restaurant & Bar will provide sumptuous hors d’ oeuvres to tantalize your taste buds and compliment your martini palate. Cash prizes and prestigious awards are available to daring martini mixologists and inspired artini artists. All media is being accepted to guarantee a wide variety of interpretations of the martini and the martini culture from the past and its new resurgence. To reserve your bartender table, advance notice is required. Artwork must be delivered prior to the event. Contact The Terrace for more information — click on this link to be connected with their Facebook page or call The Terrace at 307.587.5868. 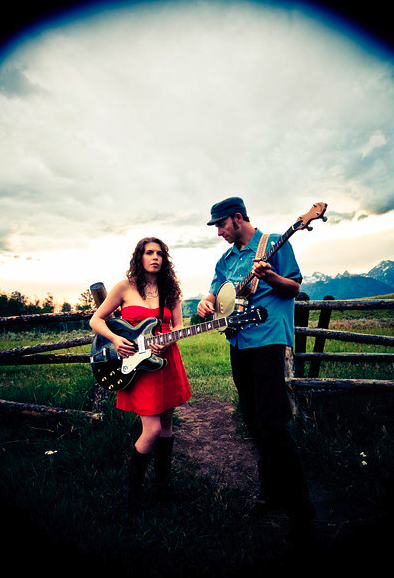 The $25 ticket price when purchased in advance — $30 at the door) provides a lively evening on Saturday, April 14 at Geyser on The Terrace, 525 West Yellowstone Avenue in Cody starting at 6:00 pm. Tickets are available in advance at The Terrace (contact them for more locations for ticket pre-sales,) and of course at the door on the day of the festival – tickets are limited. All proceeds from this event benefit thePark County Arts Council. For further information, please call The Terrace at 307.587.5868 or the Park County Arts Council at 307.899.6693. 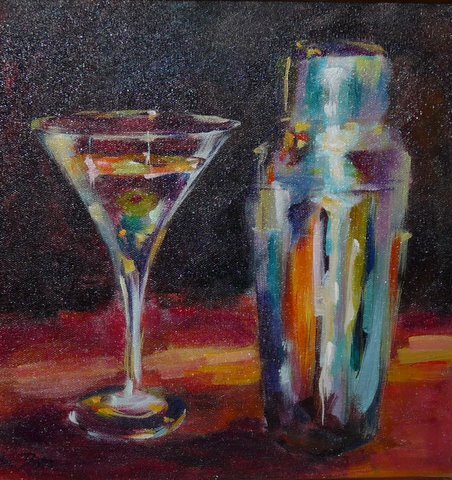 Shake out your favorite cocktail attire and head to Cody for a stirring night of Martinis and Art! This entry was posted in Art, Uncategorized, WY People, Wyoming Business, Wyoming Family, Wyoming Travel and Tourism, Wyoming wildlife and scenery and tagged Aaron Davis, Art, Artini Festival, Arts Alliance Cheyenne, Christopher Bookout, Design & Dine, Fort Laramie, Fort Laramie Historical Association, Geysers on the Terrace, Gryphon Theater, Holly Allen, Lander Art Center, Lander Wyoming family activities, Laramie Plains Civic Center, Miss USA 2012, Miss Wyoming USA 2012, Park County Arts Coucnil, Part County Arts Council, Red Desert Audubon Art Show, Screen Door Porch, Seadar Rose, The Terrace Bar and Restaurant, www.wyolifestyle.com, www.wyovore.com, WYO XY, Wyoming, Wyoming art, Wyoming artists, Wyoming authors, Wyoming birds, Wyoming exploration, Wyoming family activities, Wyoming Lifestyle, Wyoming outdoors, Wyoming Weddings, Wyovore. Bookmark the permalink.